Cars and other vehicles are prone to scratches, especially when you are not careful with them. If left unattended, these scratches cause a larger problem, rusting . Here is a step-by-step paint chip repair guide. Follow these steps, and you’ll have a smoother,shinier car in no time! If you have a car of your own, you are going to have to deal with car window scratches here and there. These car window scratches are common and can be unpleasant to the eye. They also can pose a driving hazard if left unattended. They can affect the visibility when driving by deflecting light. 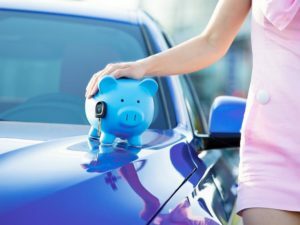 Why Choose In-house Financing with Car Dealers? Comments Off on Why Choose In-house Financing with Car Dealers? When most people picture a used car, it is an image of an old vehicle with chipped paint, rusted rims, and a cracked windshield. Yet, this image is almost entirely inaccurate. While there are a few cars in poor condition, most used cars are in their best running condition. Used vehicles are always an excellent option for the budget-conscious car buyers. And why not? Not only used cars are affordable, they are also a good choice if you have been looking for a particular model. It’s important to make sure you choose a vehicle that is still in good condition and quality. Maintaining used cars properly is the only thing that’s needed to ensure long-term ownership. It can keep a second-hand vehicle running as good as new. It can also save you the expense of buying a new car sooner than necessary. Maintaining a used car is imperative if you want to maximize and enjoy its benefits. Getting approved for a car loan may seem like a challenge if you’re dealing with bad credit issues. Being well-prepared can help increase your chances of driving your dream car home. Whether you are buying from a dealership, a private seller or online dealers, shopping for a used car requires careful thought. There are good quality used vehicles on the market. But it’s always important to conduct a thorough inspection. To guide your decision-making, here are some car inspection tips. For first-time car buyers, used car lots look almost the same. To make sure you’re getting the best deal, it’s important to gather as much information as you can beforehand. Buying a car soon? Use this guide to help you with the car-buying process at used car lots in Chicago. Is your bad credit standing keeping you from buying a car? Don’t lose hope! Because you have a less than stellar credit doesn’t mean you can’t qualify for an auto loan.